The Indian Navy has started the process of identifying twin-engine fighter candidates for its Indian Aircraft Carrier-2. It has rejected the naval version of the single-engine, domestically producted, HAL Light Combat Aircraft (LCA). India has procured Russian Mig-29Ks for its current carrier Vikramaditya (formerly the Russian carrier Admiral Gorshkov) and for its first indigenous aircraft carrier (IAC-1), which is under construction. “The present naval version of the Light Combat Aircraft does not meet the qualitative requirements of the Indian Navy,” Chief of Navy Staff Admiral Sunil Lanba told AIN. 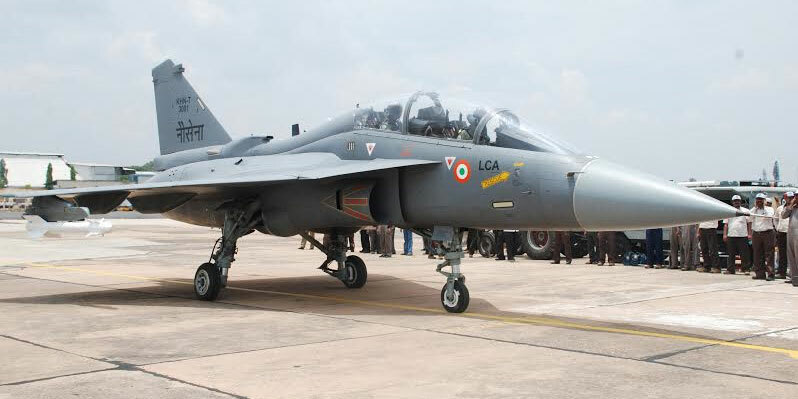 “While the Navy will continue to support the Defense Research Development Organization (DRDO) in developing a carrier-based LCA, we will seek [alternative] aircraft elsewhere at the same time,” Lanba confirmed. They will most likely be catapult-assisted take-off but with arrested recovery designs, to match the design of the IAC-2. (The Vikramaditya and IAC-1 have ski-jump take-offs). The requirement is expected to be for 20 aircraft, and will be independent of the "Make in India" plans for a single-engine Air Force fighter, for which OEMs have had discussions on with the Ministry of Defence. The Navy’s desire for twin engines would therefore rule out the carrier-based version of the Saab Gripen, which the Swedish company continues to study, now in cooperation with Embraer. The choices for the Navy carrier fighter would appear to be limited, unless Russian designs are considered again. The Boeing F/A-18E/F and Dassault Rafale M could be candidates. “In DRDO’s defense, it did take the Navy time to tell them whether they needed the aircraft to be designed for the ski or catapult,” said a representative of a leadingOEM speaking with AIN on condition of anonymity. The naval LCA design is based on the ski-jump and to replace the Mig-29Ks that will go for upgrades in 2019 and replacement in 2029.